Scientists are beginning to tap into a wellspring of knowledge buried in the ancient stories of Australia’s Aboriginal peoples. But the loss of indigenous languages could mean it is too late to learn from them. The local people feared if they strayed too close to this land they might reignite some otherworldly creature. The legend describes the landing of a meteor in Australia’s Central Desert about 4,700 years ago, says University of New South Wales (UNSW) astrophysicist Duane Hamacher. It would have been a dramatic and fiery event, with the meteor blazing across the sky. As it broke apart, large fragments of metal-rich rock would have crashed to Earth with explosive force, creating a dozen giant craters. The Northern Territory site, which was discovered in the 1930s by white prospectors with the help of Luritja guides, is today known as the Henbury Meteorites Conservation Reserve. Mr Hamacher, who runs an Indigenous astronomy program at UNSW, says evidence is mounting that Aboriginal stories hold clues about events from Australia’s ancient past. “They describe this gigantic wave coming very far inland and killing everybody except those who were up on the mountaintops, and they actually name all the different locations where people survived,” says Mr Hamacher. He and Mr Goff took core samples from locations between 500m and 1km (0.6 miles) inland, and at each spot, they found a layer of ocean sediment, about 2m down, indicating that a tsunami likely washed over the area hundreds, or possibly thousands, of years ago. The samples need further analysis but Mr Hamacher says it is a “very exciting” result that suggests the legend could be true. Earlier this year, another team of researchers presented a paper arguing that stories from Australia’s coastal Aboriginal communities might “represent genuine and unique observations” of sea level rises that occurred between 7,000 and 11,000 years ago. Nick Reid, a linguistics expert from the University of New England in Australia, co-authored the paper with marine geographer Patrick Nunn from the University of the Sunshine Coast. The stories they analysed, which had been documented in colonial times, referred to water levels rising over coastal areas that were once dry. By looking at historical records of sea level rise following the last glacial period, about 20,000 years ago, they were able to match the stories to coinciding dates. Mr Reid says the relative isolation of Australia’s indigenous people – living for 50,000 years more or less free from cultural disruptions – and the conservative nature of their culture could help explain why there is so much detail in their stories. “Aboriginal people have very particular beliefs about the importance of telling stories properly, and about stories being told by the right people,” he says. They also employ a rigid kin-based, cross-generational system of fact-checking stories, involving grandchildren, parents, and elders, which Mr Reid says doesn’t seem to be used by other cultures. 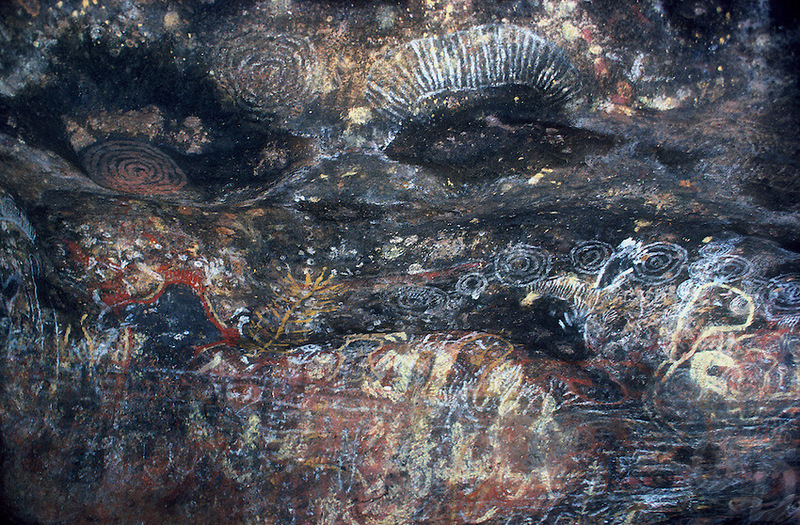 This extreme conservatism and adherence to accuracy can also be seen in rock paintings, drawings and engravings, which were often used to support oral legends, says Les Bursill, an anthropologist and member of Sydney’s Dharawal people. “They are replicated time after time after time, and if they vary, even by not very much at all, they are scraped off and re-done,” he says. But Mr Bursill doesn’t think Aboriginal communities are interested in sharing their knowledge with modern Australia. Non-indigenous academics recognise that some Aboriginal communities are suspicious of outsiders. But Mr Hamacher says his research group has been approached by a number of Aboriginal communities keen to tell their stories. He says this sharing must be met with a “giving back process” that benefits the Indigenous community. His team, for instance, has developed a range of educational materials relating to astronomy, which are now taught in remote schools. It is all part of a growing recognition that Indigenous knowledge has a lot to offer the scientific community. Australia’s national science organisation, the Commonwealth Scientific and Industrial Research Organisation (CSIRO), is working with Indigenous communities to improve environmental management practices, in order to prevent wildfires and improve ecological health and biodiversity. But there is a problem – Indigenous languages are dying off at an alarming rate, making it increasingly difficult for scientists and other experts to benefit from such knowledge. More than 100 languages have already become extinct since white settlement. About 145 Indigenous languages are still spoken in Australia by at least one person but a 2014 report by the Australian Institute of Aboriginal and Torres Strait Islander Studies found that 75% of these were considered “critically endangered”.